I’m very interested in cocktail culture. I’m interested for multiple reasons. It’s great for networking, I love the craft behind it, and I’ve found that the art of great cocktail is not unlike the work of a master chef. All of that is part of the reason that I’m a member of the USBG. But, I’m also a bit competitive by nature, so I’m looking forward to the possibility of competing in some cocktail competitions. This was inspired by Sanctuaria’s Golden Ticket, because of the special ice cubes they use in the drink. 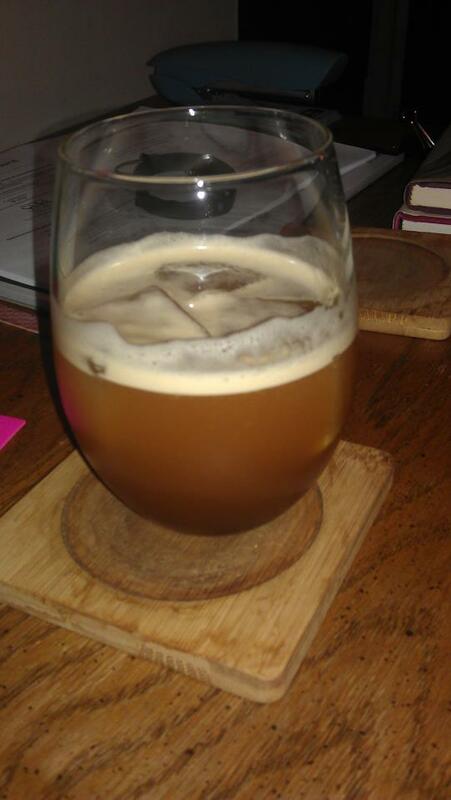 I’d been experimenting with an infusion of apples and bourbon. The apples came out so powerful they couldn’t be eaten easily. I hate to throw things away, so I started experimenting with ideas. This was the result of that, and the magic trick is in the apple ice cubes. Those melt faster, because of their physical state of matter, and the drink changes over time. So, science and magic all in one. I love a good Manhattan. 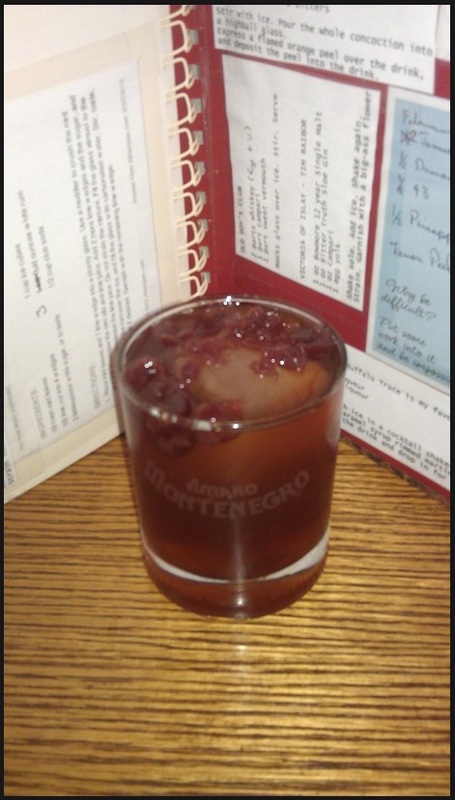 So, a while back a bartender friend of mine and I were having a discussion about what would make the perfect Manhattan. We both talked about having a competition based around Manhattans. This was the result of that conversation. While that competition hasn’t occurred, this would probably be my entry into it. If you want to try this, I recommend using these exact ingredients to get to what I envisioned. Note: If you use bourbon, go with Buffalo Trace. If you decide to use rye, go with Templeton or Wild Turkey. Muddle the cherries and juice in a cocktail shaker. Add the rest of the ingredients. Stir with a bar spoon. Pour the whole concotion into a highball glass over ice or straight up into a coupe. Express a flamed orange peel over the liquid and deposit into the drink.